Sgt. 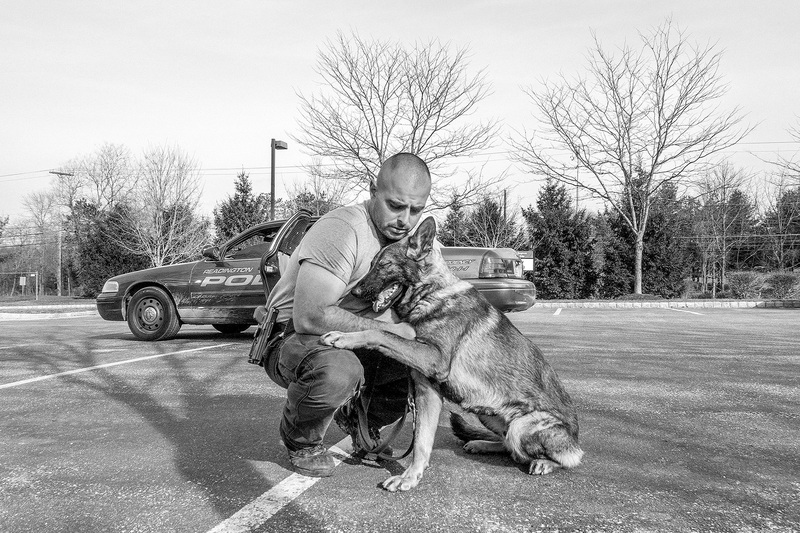 Carlos Ferreiro of the Readington Township Police Department in New Jersey, has a quiet moment with his K-9 partner, Polis, after a day of narcotics training. April, 2015.